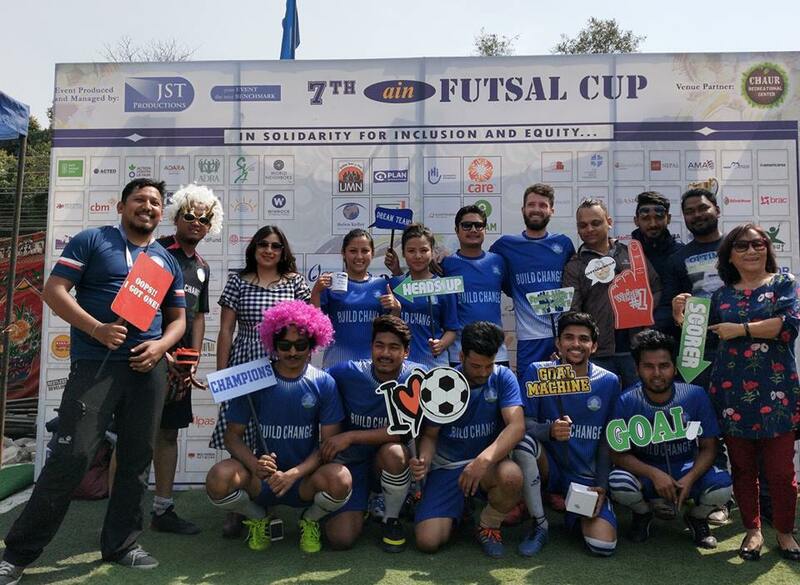 Home>> News >> Mercy Corps has lifted the 7th AIN Futsal Cup this year. Heartiest Congratulations !! Mercy Corps has lifted the AIN Futsal Cup this year. The annual tournament in its 7th consecutive year, had a grand ending on 17 March with AIN Chairperson Dr Shibesh Chandra Regmi, Chief Guest for the closing ceremony handing over the trophies along with AIN Secretariat. Humble gratitude to all the 26 teams for being part of the 7th AIN Cup Futsal, demonstrating an amazing team spirit and showing the strength of AIN. Special thanks and appreciation to SC Member Mr Sanjay Karki for being an excellent Captain and brilliantly leading the tournament since the last seven years !! Special applaud to the Australian Embassy team for being the superb guest player in the opening match ! !